October is the month we dedicate to the Holy Rosary, and today is the Memorial of Our Lady of the Holy Rosary, so there is no better time to begin diving deeper into each mystery of this powerful prayer with renewed reverence. On each Friday of October, we will offer reflections on the mysteries of the Rosary, starting today with the Joyful Mysteries. Mary stands here at the turn of salvation history, embodying the faithful of Israel and making way for the Messiah. In fact, the angel’s greeting “Hail” (χαῖρε) is the exact same as that given to Daughter Zion in the Greek version of Zephaniah 3:14. This is significant because “Daughter Zion” in the prophets generally refers to the eschatological people of God—that is, the people of God as God has called them to be; Mary, then, embodies this glorious radiance which God has always destined for his people. And the Zephaniah passage continues: “The King is in her midst” (Zephaniah 3:15); indeed, in the Annunciation the King is in her midst, in the womb of the Blessed Virgin (see Joseph Cardinal Ratzinger’s Daughter Zion, pages 42-3). Moreover, the angel doesn’t address Mary by name, but rather astonishingly as: “Hail, full of grace.” This breathtaking greeting offers a glimpse of the grandeur of the Incarnation, as seen from heaven’s vantage point. Further, the phrase “the Lord is with you,” used by the angel with reference to Mary, occurs throughout the Bible to indicate God’s presence and support for accomplishing his mission, as he did with Moses (Exodus 3:12), Joshua (Joshua 1:5, 9), Gideon (Judges 6:12), and Jeremiah (Jeremiah 1:8). This means that Mary, too, stands on the cusp of some great moment in salvation history. And Mary responds with unflinching faith: “Behold, I am the handmaid of the Lord; let it be to me according to your word” (Luke 1:38). In a sense, God’s plan hinges on the faith and obedience of the Virgin Mary; and for that, all generations call her “blessed” (Luke 1:42). Sometimes much is made of the distinction between Jesus’ physical family and his spiritual family—the latter marked by those who “hear the word of God and do it” (Luke 8:21; see also Luke 11:27-28). But a distinction need not entail a separation; and in fact, St. Luke portrays Mary as the one who quintessentially “hears the word of God and does it” (see Luke 1:38-39, 2:19, 51); in other words, she goes before us as model disciple and embodiment of the Church; and in Luke’s sequel (Acts of the Apostles), she is there persevering to the end with the disciples (Acts 1:14). May we follow Mary’s path of saying “yes” to the Lord from beginning to end: “For with God nothing will be impossible” (Luke 1:37). After the Annunciation, Mary arises “with haste” (Luke 1:39) to visit Elizabeth, who greets her with familiar words: “Blessed are you among women, and blessed is the fruit of your womb” (Luke 1:42). St. Luke then depicts Mary’s journey in a manner reminiscent of David bringing the Ark of the Covenant to Jerusalem in 2 Samuel 6. Such a parallel would be enormously significant, since the Ark was the holiest object in all of Israel—made holy because it bore the very presence of God; overlaid with gold (Exodus 25:11), it held the Ten Commandments, a jar that held the manna, and Aaron’s high priestly rod (see Hebrews 9:4). Likewise, Mary bears Jesus who is the Word of God Incarnate, the bread of life, and eternal high priest. Moreover, the following parallels in both journeys emerge: David and Mary “arose and went” (2 Samuel 6:2; Luke 1:39); David leaps before the ark, as John leaps in the womb of Elizabeth (2 Sam 6:16b; Luke 1:41); David asks, “How can the ark of the Lord come to me” (2 Samuel 6:9), as Elizabeth asks how can “the mother of my Lord come to me?” (Luke 1:43); the Ark remains at the house of Obed-edom three months (2 Samuel 6:11), just as Mary remained at the house of Zechariah and Elizabeth three months (Luke 1:56). It’s hard to overstate what these parallels would mean: no Jew in the ancient world could have proclaimed his love for God and yet been indifferent to the Ark. And just in case we missed it, St. Luke uses a very rare word in Luke 1:42 to describe how Elizabeth “exclaimed” (anaphoneo) such praises before Mary. This Greek word occurs only here in the New Testament, and only five times in the entire Greek Old Testament—every single time with reference to Levites praising the Ark of the Covenant (see 1 Chronicles 15:28; 16:4, 5, 42; 2 Chronicles 5:13; see also Scott Hahn’s Kingdom of God as Liturgical Empire, page 65). The reference, then, is unmistakable: here we have once again a Levite—in Elizabeth (see Luke 1:5)—praising the Ark of the New Covenant. Mary is revered for what God has done in and through her; but she is also called “blessed” for her great faith: “Blessed is she who believed that there would be a fulfillment of what was spoken to her from the Lord” (Luke 1:45). Ever since Jesus gave her to the Beloved Disciple, and him to her—from the Cross—Mary has been our mother. She watches over us with motherly care, to be sure, but reading the infancy narratives draws our attention to another aspect of motherhood: that she was found to be WITH CHILD of the Holy Spirit; that she BORE Jesus in her womb and gave birth to him. In that sense, anyone who bears Jesus in his or her heart and proclaims him or does his work in the world is doing the same thing – and is a child of Mary. Mary had just one biological son, Jesus. But in Revelation 12, John describes “the rest of [the] offspring” of the Woman who bears a male child who is to rule the nations—a direct reference to Christ and therefore to Mary, his mother. They are “those who keep the commandments and bear testimony to Jesus” (Revelation 12:17). I wonder if he had the infancy narratives in mind when he wrote this, as the same Greek words are used. Mary KEPT [suntereo] in her heart the word of God she heard from the shepherds (Luke 2:19); her children KEEP [tereo] the commandments or word of God (Revelation 12). As we meditate on his word today, let us show ourselves as true children of Mary so that word might be conceived and born in us that we might bear it to the world! Meditate on Luke 2:1-22, the mystery of the birth of Jesus, focusing on the Blessed Mother. Ask the Holy Spirit to help you be open to the word of God, to plant it in your heart and nurture it there. In the fourth Joyful Mystery we see how Mary is a beautiful example of faithfulness. In the Presentation of the Child Jesus in the Temple, we see her faithfully fulfilling all the necessary steps of a Jewish woman after giving birth to her first born son. The Law of Moses prescribed that the firstborn male needed to be redeemed by a sacrifice. This harkened to the time of the first Passover, when the angel of death passed over the houses of the Israelites who had blood from a sacrificed lamb over their doorways. From the time of Moses onward, the tradition of redeeming the firstborn son continued as a perpetual reminder of the saving grace of God. How fitting that Mary and Joseph brought God the Deliverer of Israel to the Temple to fulfill all righteousness. Just as later Jesus would be baptized by John in the Jordan, though he needed no salvation, Jesus was redeemed in the Temple as the first born son. Mary’s faithfulness to obey God’s command did not go unnoticed by Simeon and Anna who were waiting for Mary to bring Jesus to the Temple. Obviously they knew the Temple would be the first stop for the Messiah to appear on his mission to redeem the world. Perhaps it was with great anticipation Mary entered the Temple, expecting a sign of confirmation from God during this significant ritual. She was met by two prophets, who recognized the gift she brought to the Temple and ultimately brought to the world. Simeon’s words seem like a second Annunciation to Mary, for they tell her of the actual historical situation in which the Son is to accomplish his mission, namely, in misunderstanding and sorrow. While this announcement on the one hand confirms her faith in the accomplishment of the divine promises of salvation, on the other hand it also reveals to her that she will have to live her obedience of faith in suffering, at the side of the suffering Savior, and that her motherhood will be mysterious and sorrowful. As we go to Mass to receive this amazing gift that has been given to us through the hands of Mary and the prophets, let us also go in anticipation of what we can receive through the reading of the word, through the prayers and through the miracle of the Eucharist. 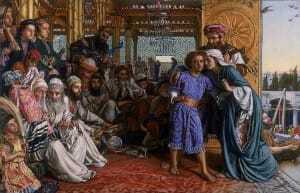 The account of the boy Jesus being lost and then found three days later in the Temple is the only scene of Jesus’ childhood reported in any of the Gospels. Now twelve years old, Jesus is old enough to enter the Court of Israelites. For the first time, he will be permitted into the area where the respected teachers of the Law convene to discuss the Scriptures. So much insight can be gathered just by reflecting on how Mary and Joseph can lose their boy at this time. This must have been a trying experience for Mary, and it foreshadows another time when she would be separated from her son: at his death on Good Friday. The Holy Family was returning from their annual journey to Jerusalem for the feast of the Passover. This is one of the most important yearly feasts, and Jews from all over the ancient world would travel to Jerusalem to celebrate. It is easy to wonder today how Mary and Joseph could leave their son behind in the big city of Jerusalem. What does this story story tell us that might shed light on how these holy and responsible parents could lose their child so easily? Mary’s example here can teach us about how to respond when we do not understand why God allows us to experience moments of trial, uncertainty, or darkness. God may be trying to teach us through these difficulties. Mary’s experience of losing Jesus is one we might experience in our spiritual lives. We face trials that cause us anxiety. Prayer becomes dry. We wonder why these troubles have come upon us. We seek God and wonder where God is in our lives. Jesus may seem lost and far away, but in reality, he is doing the will of the Father in the temples of our souls. What insights and inspiration have you received from the Joyful Mysteries? 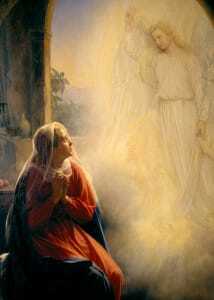 When you reflect upon The Annunciation, The Visitation, The Nativity, The Presentation, and the Finding of Jesus in the Temple, what is the Lord sharing with you at this point in your journey of faith? This reflection on the Joyful Mysteries is a combined effort of several writers for The Great Adventure blog, including Dr. Andrew Swafford, Sarah Christmyer, Emily Cavins, Dr. Edward Sri, and David Kilby. Is the Rosary ‘Vain Repetition’? 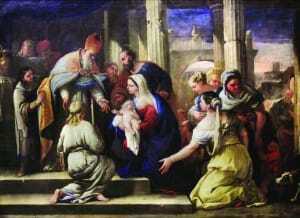 The finding of Jesus in the temple is one of the most difficult mysteries for me, and my question echos Mary’s. Why? Surely Jesus knew his parents’ love for him and that they would come looking for him, yet Jesus turns it around and asks them why they were searching for him, which is also not understood. I suppose one of the lessons of this mystery is that the path is not always clear. We must be OK with not having all the answers. We walk by faith and not by sight. Jesus stayed behind because he was obeying the will of His Heavenly Father, which, difficult as it may seem, comes before even family. 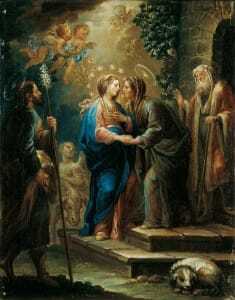 He asks Mary why she would be looking for Him because He was trying to convey that He is always in His Father’s house. Back then, that house was the temple. Now, it is the church where Jesus is located in the tabernacle waiting for all of us to be with Him when He gives Himself to us in the Eucharist. Thank you for sharing insights into each of the Joyful Mysteries. I too, as John shared ponder over the loss of Jesus in the Temple. For me, this mystery shows Jesus care for his parents when he says “did you not know…”. 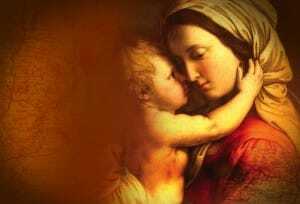 It seems he was preparing Mary for the time he would leave her in this world, but would not be lost.